This is the home you have been waiting for! 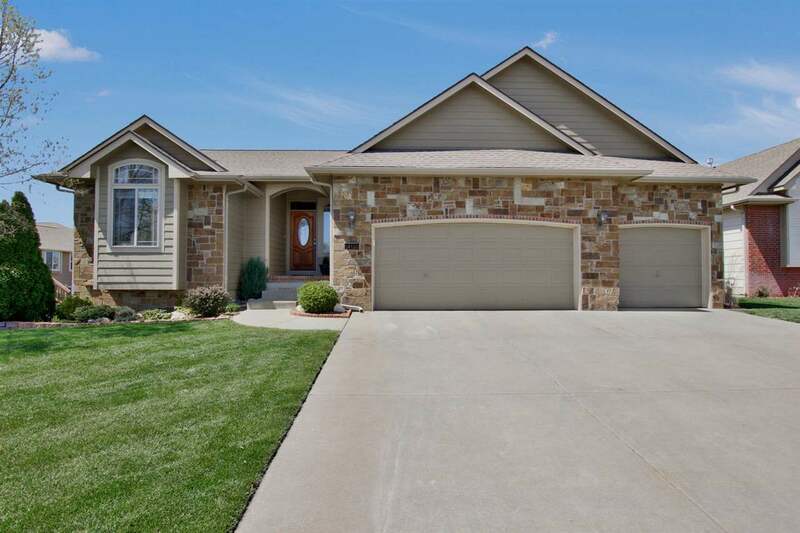 This beautiful 5 bedroom home in the highly sought after Goddard schools district boasts amazing curb appeal, hardwood floors throughout the main level, completely updated kitchen with subway tile and granite counter-tops, and a gas fireplace in the living room. The master bedroom has wood floors with a separate shower/tub in the master bathroom. The mid-level walk out allows for lots of natural lighting. The large family room/rec room in the basement includes a electric fireplace and tile flooring. The basement also includes a room that is currently used as a office, but could easily be a 6th bedroom. The neighborhood includes a large lake, playground and pool for outdoor activities! Don't let this home pass you by!